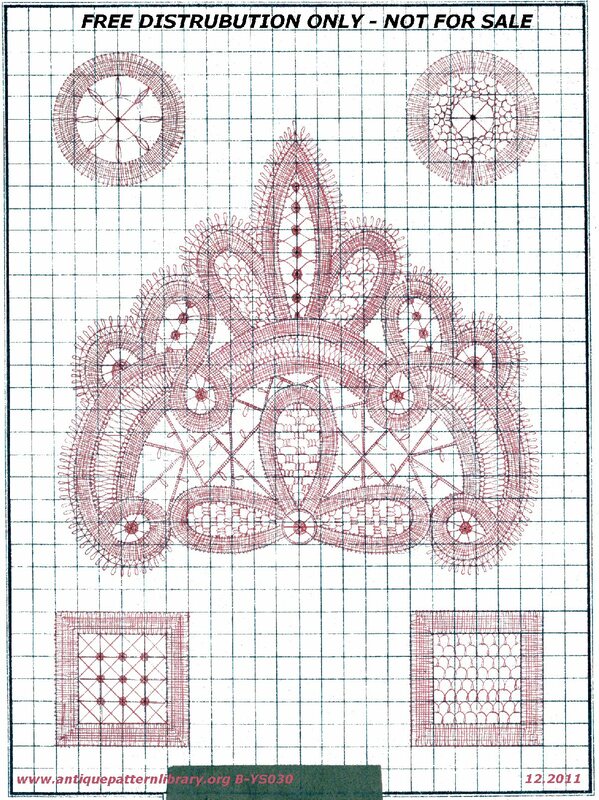 Single leaf freehand drawn layout for Battenberg or tape lace accents, showing suggested needle lace fills. Two small rounds, two small squares, and a larger flourish insertion. Original presented on square grid for ease of redrafting.